This entry was contributed by Carl Stenberg on May 26, 2016 at 8:08 am and is filed under Leadership Development, Organizational and Personal Leadership. As North Carolina’s demographics continue to change rapidly, local governments are increasingly giving attention to diversity and inclusion and making efforts to align their organizational cultures, values, and practices to the changing faces of their communities. Last year I facilitated the annual Rocky Mount City Council Retreat, where diversity was a high priority topic on the agenda. On December 9, I interviewed City Manager Charles Penny and Assistant City Manager Thom Moton about their experience and advice to others. The full interview has been published by the School of Government as Public Management Bulletin #10. It is available here. 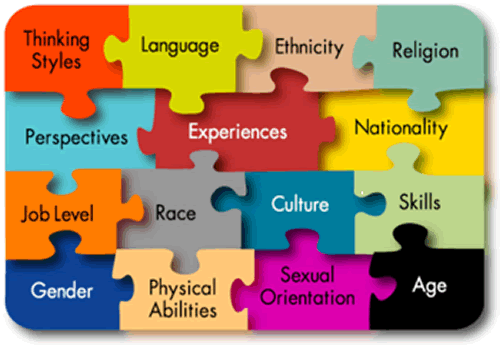 The 2016 Summer Seminar of the North Carolina City and County Management Association will offer an ICMA University Credentialed Workshop on “Diversity and Inclusion – Getting the Conversation Started, and Keeping it Going” on Friday, June 24 from 1:15-4:15 at the Renaissance Asheville. Included among the featured speakers are Deborah Walker and Thomas Griggs representing the consulting firm Visions, Inc. They have worked closely with the Rocky Mount City Council, leadership team, and staff on diversity and inclusion planning and implementation. They will present a conceptual framework for change, discuss success factors, and showcase practical applications in Rocky Mount. There is no additional charge for this workshop. Carl Stenberg joined the School of Government in 2003. Stenberg is a Fellow and former chair of the Board of Directors of the National Academy of Public Administration and past president of the American Society for Public Administration. He served as director of the MPA program at the School of Government from 2006 to 2011.